The movement for equal representation will be won with local action by citizens across our nation. 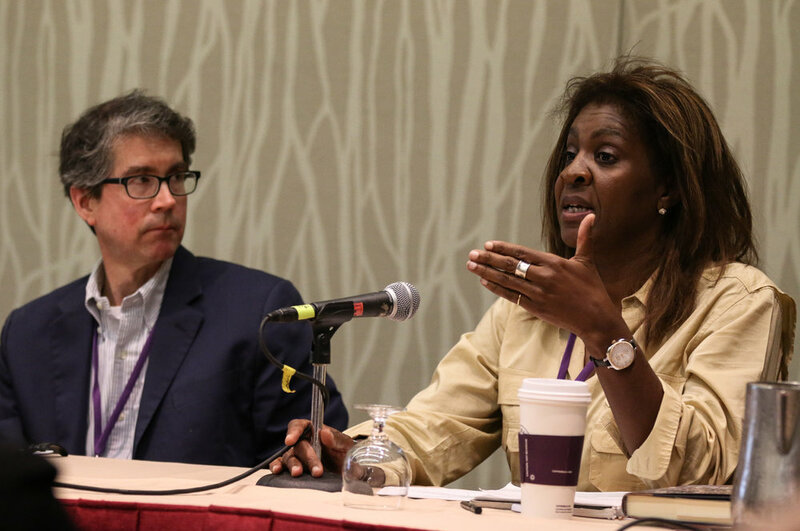 At the NCLC, citizen leaders led the way as we discussed important, effective action in sessions covering local and state strategies, citizen-driven media, how to succeed with local APAs, and much more. 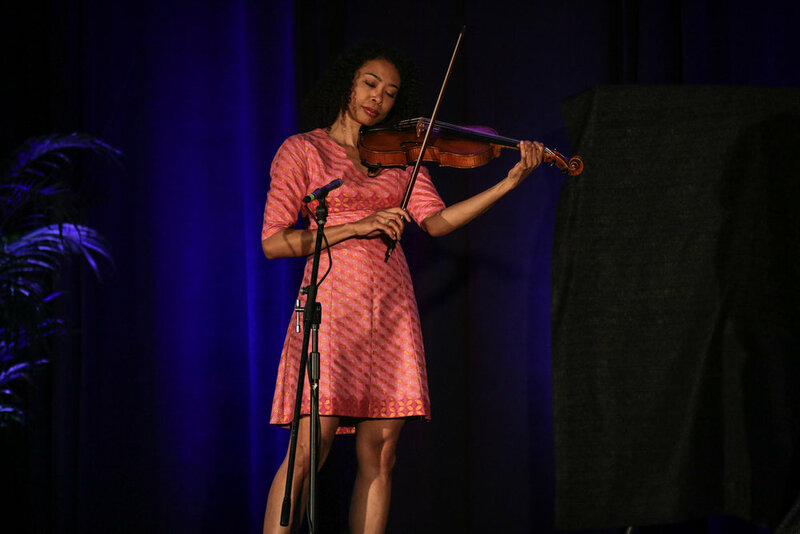 Watch videos and photos of citizen leaders from across the nation as they shared lessons, received awards, and discussed next steps to make the 28th Amendment reality. "I can't say enough about the support and the respect that we get from American Promise toward making our local efforts successful." 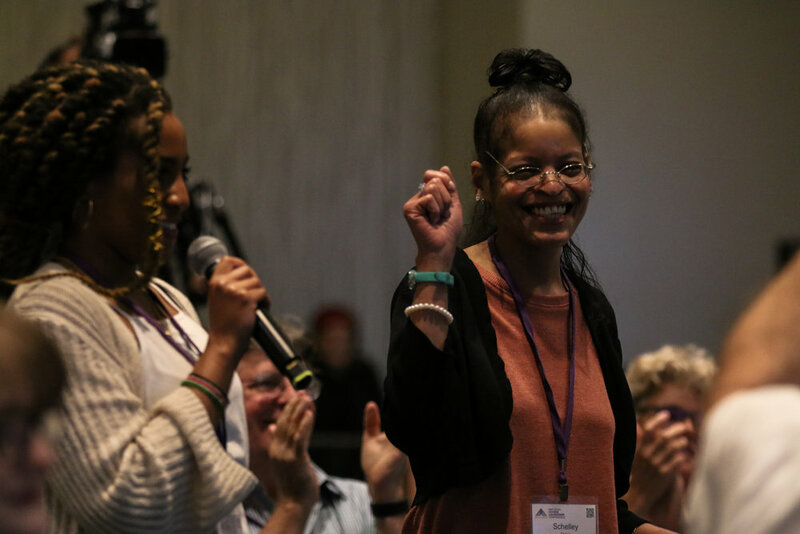 Use these resources to learn more about how your local and state action can support the movement for equal representation for all American. Citizen Leadership Award-winner Jenny Potashnick from the St. Louis, MO, APA says we all have the (super)powers we need to change our democracy. Citizen Leader Vicki Barnes shares how she has worked across the aisle throughout Minnesota communities to “pop bubbles” and pass 28th Amendment local resolutions. A constitutional amendment is a long-term, time-tested way for citizens to alter the course of our nation. This is the first Constitutional amendment to be written in the Internet Age. American Promise is hosting conversations with Americans across the nation about what the 28th Amendment should include. Writing an amendment isn’t easy, but we can do it. 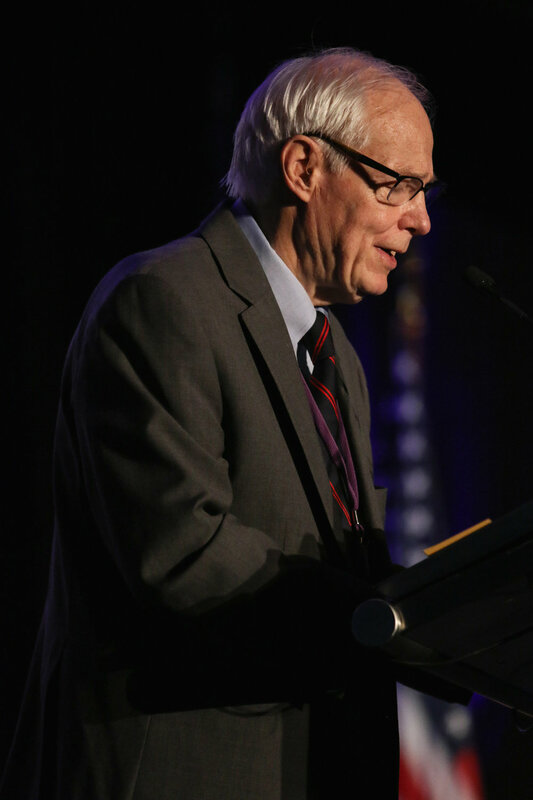 Watch these videos and photos of some of those discussions from the NCLC, on everything from how to make the 28th the first citizen-written amendment to Constitutional Convention pros and cons. "The Constitution begins ‘We the people…’ not ‘We the corporations…’ "
Adam Winkler, Professor of Constitutional Law, UCLA (left), and Greg Moore, Executive Director of the NAACP National Voter Fund (right). Learn more about the reasons to support a constitutional amendment to establish equal representation, and read about the process to get us there. In this funny, moving and compelling speech, legendary journalist Bill Moyers makes the case for why we need the 28th. Longtime Republican and current Democratic Senate candidate Richard Painter makes the case for why Americans of all political persuasions should be outraged by the Citizens United decision and its fallout. Federal Elections Commissioner Ellen Weintraub doesn’t hold back in her impassioned speech with a Washington insider’s perspective on why Washington doesn’t believe citizens care, and how we can make them know we do: Voting. The movement for equal representation must include Americans of every age, race, political persuasion and location. The citizen-led 28th Amendment process will include the voices of all Americans—citizens of all ages, genders, races, sexual orientations, backgrounds, belief systems and political persuasions. 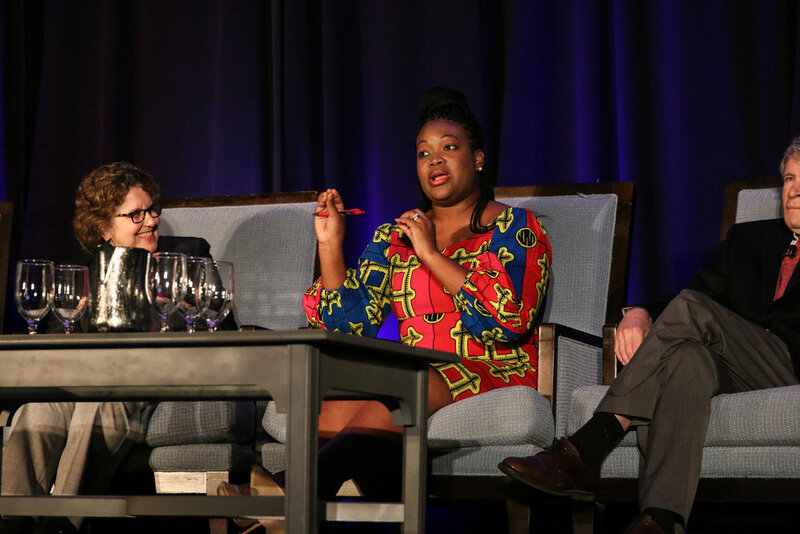 At the NCLC we aimed to foster the inclusivity of this movement with programming focused on the real-world impacts of the undue influence of money in communities across our nation; the critical nature of ensuring diversity; and the power of the rising generation of American voters. "Our Congress is not taking much initiative to protect us, and I think that’s largely due to the fact that they’re getting money from the NRA." Americans from all walks of life must come together to demand equal representation, no matter how much money we make. Read citizens’ thoughts and how to bring more people to the table. In this deeply moving speech, former Ohio Senator and current president of Our Revolution Nina Turner makes the passionate case for why we must act now as citizens, to save all that we love. Parkland, Florida, student mass shooting survivors Angelina Lazo, Demetri Hoth and Noah Damiani share why they support the 28th Amendment as part of their quest to reduce gun violence in America. New Mexico FairVote leader Maria Perez shares how her organization has passed rank-choice voting in cities and counties across the state, and how that ties to the cause of the 28th Amendment. Our movement comprises organizations across political parties and with many goals. Dozens of committed organizations across our great nation are working tirelessly to fix the fundamental problem with big money in politics. We are honored to host and corral the efforts and beliefs of these many groups at the NCLC, the meeting ground where we come together to get energized and further our important work together. "We need to start bringing in new people... they may not be of the same political persuasion, but I guarantee you they want common sense approaches to the problems we're trying to deal with here." Our movement requires collaboration among many groups and every political persuasion. Read about the cross-partisan support the 28th Amendment has earned. Former Wyoming Senator Alan Simpson receives the Congressional Leadership Award, discussing why the issue of money in politics and overturning Citizens United is critical to the future of our nation. Cenk Uygur, founder of The Young Turks, shares why his organizations—especially the Wolf-PAC—are working to amplify the voice and message of those working to pass the 28th Amendment. Business Leaders for American Promise - Bay Area - is the first business-oriented American Promise group. Explore why business leaders are perfect supporters for the 28th with its founders, Jack and Elizabeth Doty, and Trillium Asset Management CEO Matthew Patsky. Ben & Jerry’s cofounder Ben Cohen never fails to entertain! The amazing spokesperson, activist and business leader shares the easy ways his organization makes an impact worldwide—with minimal effort. Hear the moral, legal and historical reasons compelling American citizens to work for a 28th Amendment to reclaim the idea that all people—regardless of wealth—have a voice in our political processes, by statesman and academic Jim Leach. On the first annual American Promise Lobby Day, our members directly approached their elected members of Congress and their staff to discuss the issue of big money in politics and the 28th Amendment to ensure equal representation for all. Our members conducted more than 70 meetings in one day to talk about this critical issue. Read more about our Lobby Day efforts. 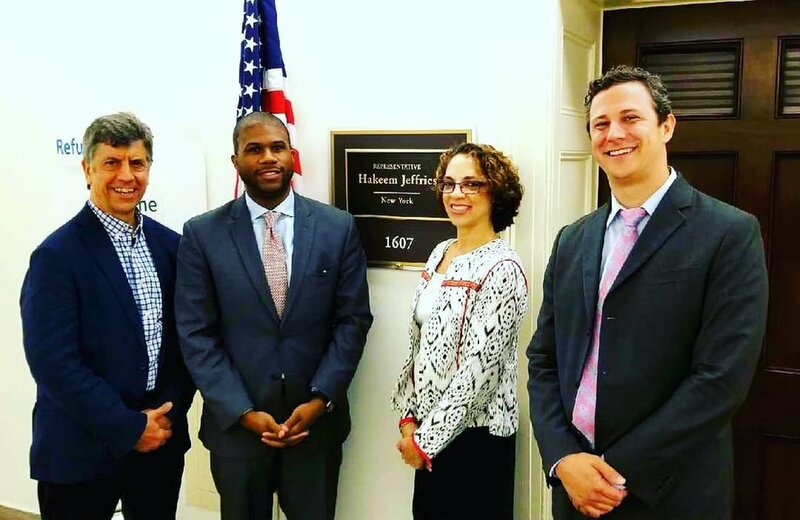 Pictured left to right: Scott Groom, a staffer for Representative Hakeem Jeffries, Jessie McDade, and Mark Goldfarb. Pulitzer prize winning journalist Hedrick Smith explains why we need to highlight accomplishments within the democracy movement and how people power can work effectively. American Promise Citizen Empowerment Coach, democracy activist and author Sam Daley-Harris teaches citizens how to effectively speak with elected representatives about supporting the 28th Amendment. Co-founder of the New York American Promise Association, Cynthia Esposito explains how being persistent, polite and positive landed her a face-to-face meeting with one of her representatives on Lobby Day. The NCLC is brought to you by American Promise.